The summer patio menu has launched and so far business is good! and are ready for you to relax in. A reminder to all members that we are now open for lunch every day. In a hurry? Call the bar to start your order for you so it's ready when you arrive. Take-out? We do that too! Our ever popular daily specials are back. We will also be extending our well attended Sunday Brunches in to the season. With help from Yard Steward Brad Strawbridge, summer gas dock attendant Adrien Noble, the crew of Jim Beatson, Mike Charrette, Darwin Muir, John Kitney, Ross Cameron and I have loaded your cradles on to their summer storage trailers. The trailers have departed KYC. This year's loading was made MUCH easier and safer without the undercarriages of the yard cradles. There was quite a bit of comment amongst the crew about the ease of loading the yard cradles, compared to years past. This coming winter we will embark on a new method of laying up your boats, and anticipate that this will be, on the whole, more efficient, easier and compact. As well, we will increase the number of boats in the yard, making room for more boats on the breakwater. Details will follow. Once again, thanks to the usual gang who loaded your cradles! Our racing season is off to a great start! We had 13 boats out for a chilly but sunny 1st race. Sam (our new RMC) is up to speed and getting in the groove. Say hello if you get a chance. 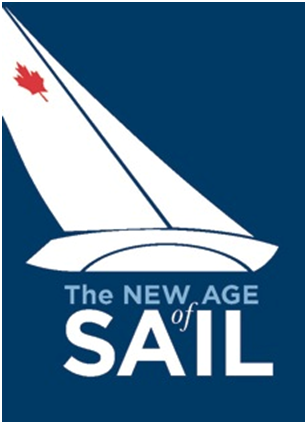 (613 548 3052, office@kingstonyachtclub.ca) to buy tickets in advance. KPSS offers a annual, free check of safety equipment a boat must carry to ensure compliance with Transport Canada requirements. The check requires a 30 minute visit to your boat by one of our trained specialists. If required equipment is onboard our specialist will issue a decal that can be displayed for the authorities to see your compliance easily.